I’ve talked at length in the past about how your credit score is determined and why it’s important. Aside from paying your bills on time, one of the biggest things you can do to protect your credit score is to keep a close eye on your credit report. While you’re entitled to one free credit report per year from each of the three major credit reporting bureaus, sometimes that just doesn’t cut it. Take, for example, our run-in last year with a wayward collections agency. When we first discovered the problem, we burned through our free credit reports trying to figure out what was going on. We then needed to monitor the situation until it was resolved, so we ended up using free trial of a credit report service to figure things out. You can go to annualcreditreport.com to get one free credit report once per year from each of the three major reporting bureaus. You don’t have to get all three reports at the same time. So, a good option is to pull one credit report every three or four months, to space them out over the course of the year. Sure, your TransUnion, Equifax, and Experian reports can include different information (or mistakes!). But most major issues will show up with all three bureaus. This is especially true if you’re on the lookout for fraudulent accounts opened in your name. If a thief opens an account with a major credit issuer, it should show up on all of your reports. Of course, this sort of lax monitoring isn’t ideal if you’re at real risk of credit fraud. If you’ve recently noticed something fishy or have been the victim of identity theft, check out option 2. 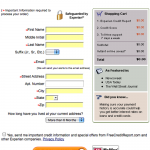 If you do think you’ve been a victim or target of credit fraud, put a fraud alert on your file. To do this, just call one of the three bureaus. They’ll notify the other two. This alert stays on your report for about three months. During that time, potential lenders will ask for additional identification for someone attempting to open an account in your name. Plus, when you place a fraud alert, you may be entitled to a free hard copy of your credit report. Check out the quiz on this website to see if this applies to you. Another option is to place a freeze on your credit. 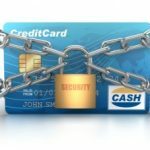 This is something you’ll need to do with each of the three bureaus separately and often involves a fee (around $10-15), but really locks up your credit. In order for a lender to pull your information to open a new account, you will have to lift the freeze. To learn more about freezing your credit and see whether it’s what you need, check out this guide. More and more credit card companies are offering their customers a free monthly credit report and credit score. Currently, twelve companies offer their customers this perk. If you’re in the market for a brand new credit card, this is one benefit to be on the lookout for. One thing to keep in mind here is where the credit score comes from. Many credit card issuer programs use your FICO score, which is still the one that lenders are most likely to use. But some use alternatives, like the VantageScore. And each program uses your credit report information from one of the three bureaus. If you’re simply trying to monitor your overall credit picture, it doesn’t matter much. But if you want to keep tabs on all three bureau’s credit reports, look into this information. With that said, many of these sites, including Credit Karma, Credit Sesame, and Quizzle will give you an accurate estimation of your credit information. These sites will pull your most recent credit report, and they’ll give you a large chunk of that information (for free). You’ll be able to see your account balances and more as they appear on your credit report. Then, they give you your credit score, too. You can even track your credit score over time, or get advice on how to improve your score. The FACT act may allow you to get a free copy of your credit report in certain extenuating circumstances. For instance, if you lost your job and are getting ready to job hunt, you might be eligible. Some states also have free credit report programs with varying eligibility requirements. These free credit report options may or may not provide you with your current credit score. But it’s increasingly easy to get your hands on a copy of your score, too. So, whether you’re keeping an eye out for fraud or just looking to improve your credit, getting your report and score for free has never been easier! I’ve been getting my free FICO monthly for a few years now. This was from a credit card (Washington Mutual). They have been bought by JP Morgan and this feature is ending this weekend. Is there another credit card that has this feature? Great post and I have included it in the latest edition of the Money Hacks carnival as an editors pick! Thanks for posting this! I just got a free report and it was a very easy process. Good post! 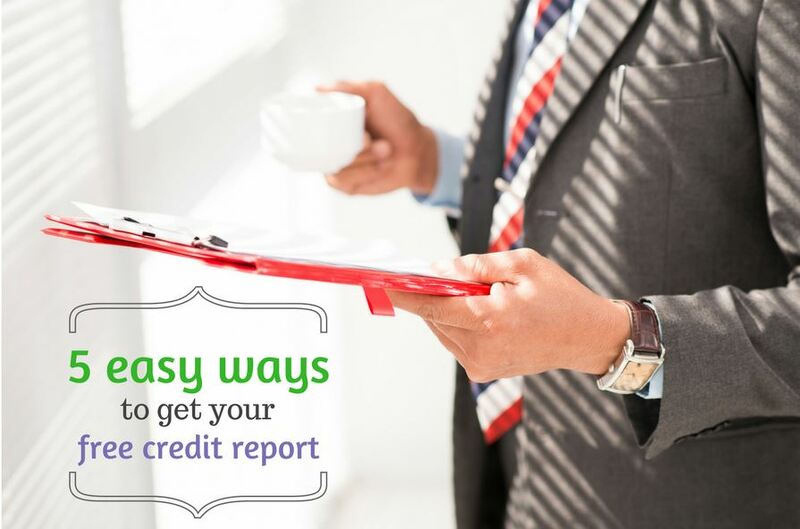 If you get a credit report from each of the three reporting agencies, you can spread them out by gettting one every four months, then you will have a fairly current report. Also – you can add that consumers are entitled to a free credit report in the event they are denied credit, loans, mortgages, etc… based on information contained on their credit report. Consumers have 60 days from the date of denial to request a free credit report before the entitlement expires. Keeping an eye on your credit report is a great proactive measure to maintaining a solid and correct credit history.